Despite the fact that berets have made a major comeback in the past season or two, wearing them without feeling like you just hopped off a plane from Paris is harder than it seems. Sure, the minimal hat is a part of the highly sought-after “French-girl style,” finishing off any ensemble with an effortless air of cool. For that very same reason, it’s hard to don the beret without feeling like a bit of a poser. 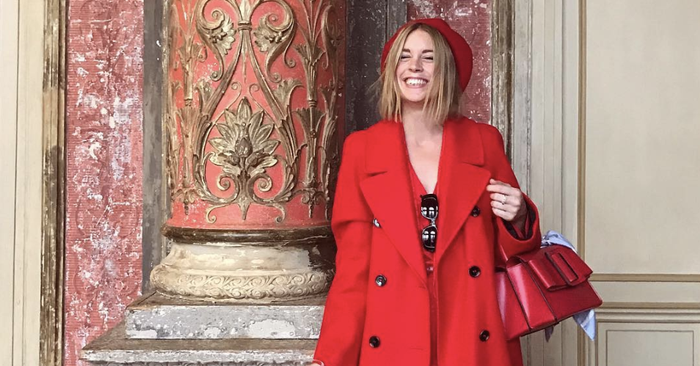 Luckily, with the help of some of our favorite fashion girls, you can style beret outfits like an It girl without a second thought. Now that the temperatures have really started to drop, we know you’ll want to bundle up in some of your warmest pieces, and if you want to give your outfits that extra je ne sais quoi (we had to! ), a beret will be the perfect final touch. To illustrate our point, we gathered the chicest fashion girl–approved ensembles featuring the iconic French hat. Shop them all below.